When building a DFS lineup, we all know the big stars to consider. Even the novice DFS player knows to target LeBron, Anthony Davis, James Harden, Stephen Curry, etc. However, when it comes time to take down a Guaranteed Prize Pool (GPP) tournament, the key is to find the hidden gem in that night’s slate of games. In DFS, gems do not stay hidden for long, so it is imperative to be the first one to find that prize. If you are one day late, that could be the difference between infamy and glory. Let’s focus on the players that may become hidden gems after the all-star break. With the trade deadline looming this Thursday at 3 PM, DFS players should get a shovel and get ready to start digging. Alright, Wade is hardly a hidden gem, but the way that the media speaks about him it’s as if he hasn’t been an elite player in years. Truth be told, when Wade had been on the court this year, he’s been stellar with the 3rd highest usage rate at 32.2, 10th in points per 36 mins at 23.9, and he has the 13th highest PER at 22.49. He’s due back from his latest injury Friday, and the Heat will be “all in” trying to make the playoffs. 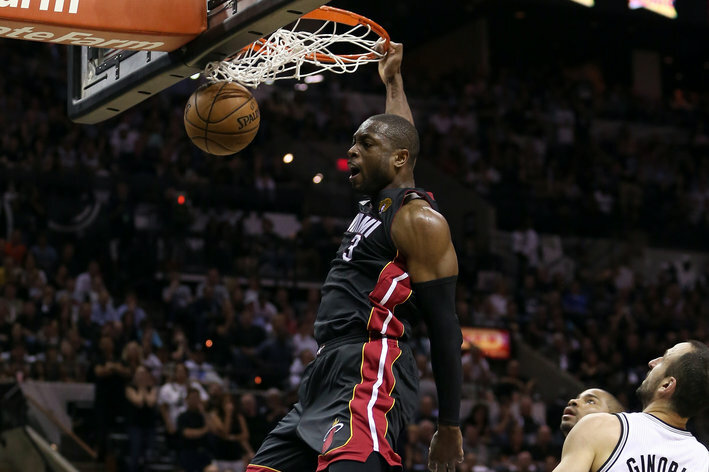 Look for Wade to play significant minutes and produce at a superstar level (while on the court). Get him in your lineups while his price on DFS sites is still low – this is probably the lowest it’s going to be all season. He may get hurt again, but before he does, he may win you a GPP. Only because I love you readers, will I share with you this vital secret. Danny Ainge’s valentine was Kelly Olynyk. Oh, you think I’m kidding. Well, I’m not. Ainge and the Celtics front office are infatuated with pony tailed Kelly. While Olynyk hasn’t been consistent yet in his brief NBA career, he has shown flashes of brilliance. Even after losing his starting job to Tyler Zeller, Kelly erupted for a game of 30 points on 17 shots, three three pointers, nine rebounds, two blocks and three steals. How many centers are capable of a line like that? And a closer look at his stats shows that he averages 16.3 pts per 36 mins. That’s higher than Jrue Holiday, Andrew Wiggins, Bradley Beal and Michael Carter-Williams. And this guy shoots 50 percent, averages 5.4 rebounds, two blocks, and a three pointer per game in only 24.5 minutes per game. He is one monster game away from winning us all some serious cash. And if he starts getting big minutes…look out. It’s hard for the strongest man on plant earth (according to Dwight Howard) and a villain in Super Man II (Google “Superman Villain Non”) to stay hidden. 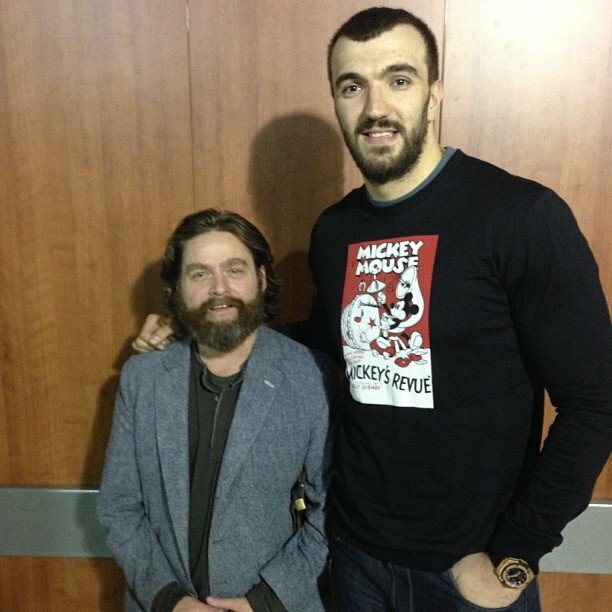 But that’s the case with Pekovic. Everyone assumes the Wolves are tanking and want to play young guys (and this probably is true), but they haven’t gone this route yet. While it’s possible the Wolves may move veterans K-Mart, Thaddeus Young, and even Pekovic by 3pm Thursday – I’m staying bullish on this guy even if he does get traded. True, he doesn’t fill up a stat sheet, but he currently averages 17.9 pts per 36 mins. That’s more than Kevin Love, John Wall, and Tyreke Evans, among others. If Pekovic stays healthy and gets minutes (he’s still starting for Minnesota ahead of Dieng), he can bully his and your way past Superman and into a high GPP finish. While his price is still low on DFS sites, he makes for an excellent contrarian play. Now that Carmelo has brought an NBA championship to New York…oops, I mean an All-Star appearance to New York, look for him to shut it down in the next couple days. That opens up a lot of minutes and tons of shots for the Knicks. Lance Thomas might be the immediate beneficiary at small forward (and lots of DFS players will flock to Tim Hardaway Jr. as a solid option at SG) but don’t sleep on Early (known for his steals and threes). Derek Fisher loves this kid and is going to find minutes for him on the floor. The Knicks only goal from now on is to see what talent (if any) they have on the roster. The Dragic trade rumors are reaching peak level, and if he gets dealt, get ready to make Thomas a staple in your DFS lineup. He’s been a decent DFS option with only 25.7 mins per game this season, but he has the 21st highest points per 36 minutes at 21.4 and a usage rate of 24.6. Accordingly, if he gets starter minutes on Phoenix, he’ll be an immediate elite fantasy player in the Suns up-tempo offense. The cruelest words in DFS are “questionable” and “minutes restriction.” And Hill has been the epitome of the latter this year. However, the restrictions are finally going to be lifted. 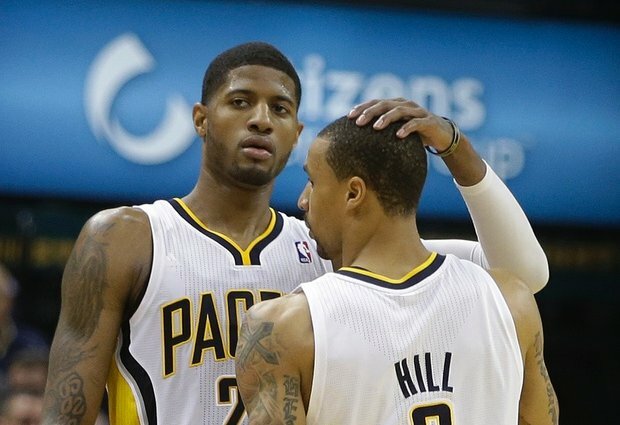 The Pacers have absolutely zero quality playmakers on their team (sorry Rodney Stuckey and others, you don’t count), so Hill is going to dominate the ball and the stat sheet the next few months. His numbers with the minutes restriction were already impressive (14th highest PER at 22.30 and 24th highest points per 36 minutes at 21.2) so the unleashing of Hill should be fun to watch. Note: the Pacers are shopping for a point guard, so if they land someone like Ty Lawson that will surely hurt, but not kill, Hill’s value. Mo was traded to his seventh NBA team last week (the Charlotte Hornets), as the Brian Roberts experiment at point guard was an utter disaster. With the Hornets vying for a playoff spot in the weak Eastern Conference and Kemba Walker out until at least mid-March, Williams will immediately step into a starting gig for the Hornets. He posted consistently solid numbers in his 19 starts this season with the Timberwolves (16 pts, two three pointers, eight assists, three rebounds, and a steal per game), and he should post similar numbers feeding Big Al and the Hornets. Yes, he is still in the league currently backing up Ty Lawson. But several teams actually want to acquire this guy for the second half of the season…especially the Miami Heat who have been dying at point guard. The Heat are going to be in desperation mode the final 30+ games to grab a playoff spot, and if they acquire Nelson, he’ll be locked into heavy minutes ASAP. Last year starting for Orlando he averaged 12 points, seven assists, two three pointers, three rebounds and a steal per game. It’s not crazy to think he could post similar numbers in Miami. If you know the names Joe Ingles and Elijah Millsap (brother of Paul), you are probably a savvy DFS player. Both of these guys (mostly Ingles) have been sneaky plays in DFS land. However, they were only getting big minutes due to the injury of the rookie Hood. The Jazz are eager to get Hood back on the floor, as they hope he’ll be a vital piece of their future, along with Hayward, Exum and Gobert. Accordingly, he should be in line for consistent minutes and starting for the Jazz at shooting guard after the All-Star break. Jason Thompson is doing everything in his power to get traded out of Sacramento. If he does, someone has to play power forward for them. Enter Carl Landry. New coach George Karl will love this energy guy, and starter or not, should give him ample minutes for the Kings. How soon we forget that Landry was in the running for Sixth Man of the Year while on Golden State a couple years ago. He could easily post similar numbers (11 points and six rebounds) to that season if given the chance. Hopefully, this will allow you to target key players that you might have overlooked. And hopefully one or more of these players will assist you in winning some cash in a GPP very soon. If you want more information or have any questions, do not hesitate to email me at dagreen35@gmail.com or message me on twitter @DanielAGreen1. I’m sure by now you have seen a commercial or advertisement for a new type of fantasy sports, daily fantasy sports, or DFS. Perhaps you’re wondering what all the fuss is about. And maybe you’re wondering, like I was, how can I start playing and make some cash? I will provide you some starter tips so you can begin the fantastic journey of DFS. Simply create an account on one of the two major DFS sites, FanDuel or DraftKings. There are a myriad of sites out there, but before you get crazy playing multiple sites, start with one of these. Each site has slightly different rules, so when you start playing it makes sense to zero in on one in particular. Research. There is an abundance of material on the internet regarding DFS, so when you start playing, it’s easy to become inundated with all the information. While it doesn’t hurt to read as much as you can, focus in on a few sites and people to follow on Twitter. There is a lot of useless and inaccurate information out there, so a key is figuring out what information is actually reliable. For instance, RotoGrinders and Rotoworld are two great and trustworthy places to start. Also, Steve’s daily videos and lineups on this site are a great tool for new DFS players. Building a lineup. Most sites require you to build lineups of 8 or 9 players with a salary cap of 50 or 60K. Each day there will always be some difficult choices to make, and you will always be fighting the logic (what the research shows) versus your own gut. You have to learn to trust the research. This will prove fruitful over time. Play small when you get started. Like anything else in life, it takes time to learn and master a new trade. So please, start playing DFS with a small amount of money. One of the best parts about DFS is that you can enter $1 and $2 tournaments (called guaranteed prize pools where 10-20 percent of the field wins) and cash games (where usually half the field wins). Once you become comfortable with the site(s), research and building lineups – you can begin to think about playing higher stakes. You will lose some nights. One of the absolute keys to DFS is understanding that losing is part of the process. Even if you built the perfect lineup, you still need your players to make shots, dish out assists, and grab rebounds. Unfortunately, players have off nights and worst of all, might get injured. So a lot of things need to go right in order for you to win. However, if you keep building solid lineups, it will pay off over time. Watch the games! A lot of people will simply build lineups by reading articles on the internet. However, when it comes time to choose between using Joe Ingles or Paul Pierce on a given night at small forward – it surely helps if you have seen Joe Ingles play (he’s a wing for Utah by the way). Remember, while reading about players is nice, there is no substitute for first hand knowledge. And this way, when your significant other asks why you have to watch basketball, you can tell him or her that it’s research. The World of Twitter. Twitter is probably the best and worst thing about DFS. If you use it right, it can provide you with all the information you need to build the perfect lineup on any given night. However, every day there are new people on twitter proclaiming to be DFS experts. These individuals will be happy to provide you lineups and information for a small fee. Honestly, while many of these individuals are legitimate, plenty are players who have had one or two good nights playing DFS. Learn how to build your own lineups. Manage your bankroll. The common rule is that you should never spend more than 5-10 percent of your bankroll each night. For instance if you have $1000, you should play between $50 and $100 per night. Again, I recommend playing much smaller your first few weeks (closer to 2-3 percent of your bankroll). Only you know how much money you can afford to spend each night. Hopefully, you learned some useful tips above and are now ready to give daily fantasy sports a try. Remember, this article was only meant as a guide and to help provide you with tools that I learned the hard way in my own adventures. If you want more information or have any questions, do not hesitate to email me at dagreen35@gmail.com or message me @DanielAGreen1.